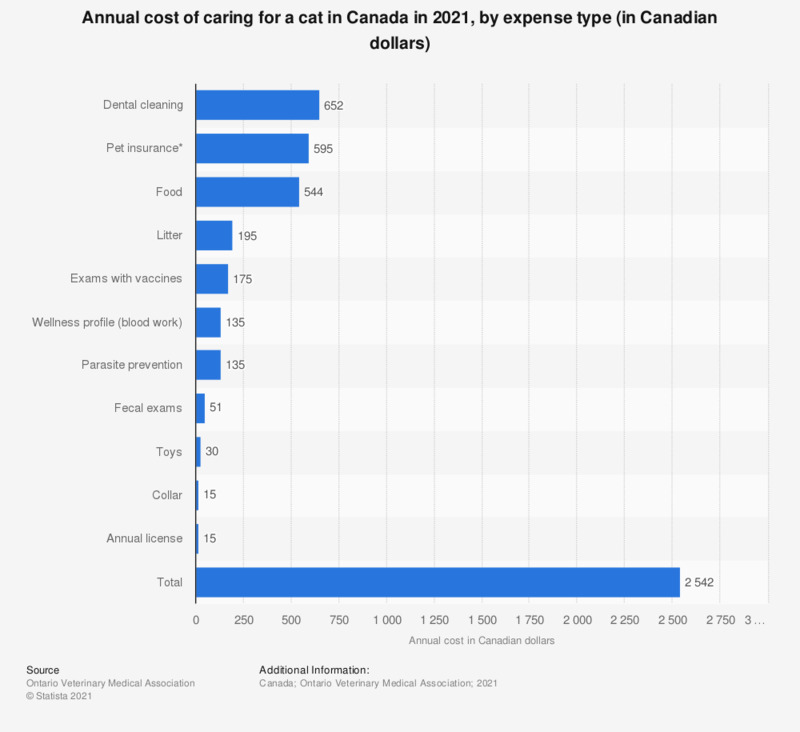 This statistic shows the annual cost of caring for a cat in Canada in 2017, by expense type. The annual cost of professional dental care for a pet cat amounted to a national average of 531 Canadian dollars in 2017. * Prices reflect the cost of caring for a puppy in the first year of ownership and all figures are calculated as a national average from the OVMA 2018 Cost of Care research, conducted by province. ** National average for Pet Plus Us accident and illness coverage. Statistics on "Pet food market in Canada"
Would you pay more for healthy pet food? Where did you get your pet cat from? From where do pet owners get advice on pet care? Do the French take their dogs and cats on vacation? Have you ever felt comfort in the presence of a dog or a cat? Which of the following tend to influence you to give your cat a treat?